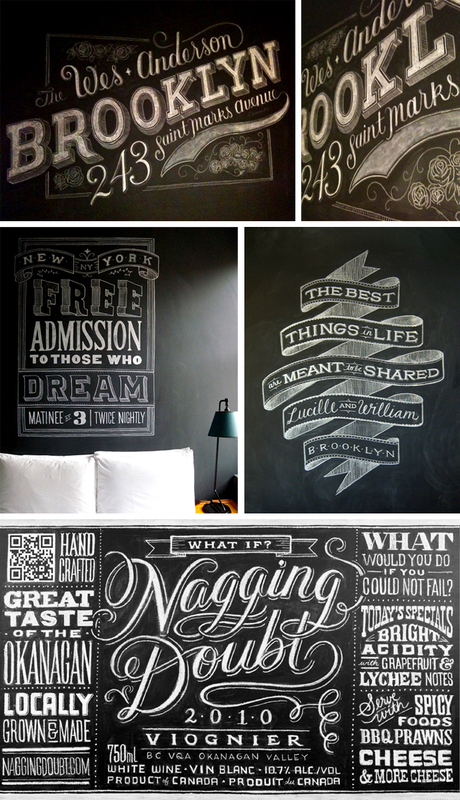 Ever walk past a restaurant or into a grocery store and see creatively decorated Chalkboards? 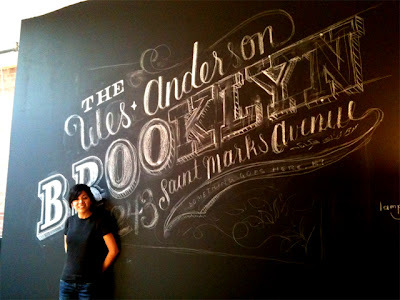 I love using chalkboards as a design element in your home, whether it be for use in the kitchen, office or the kids room. 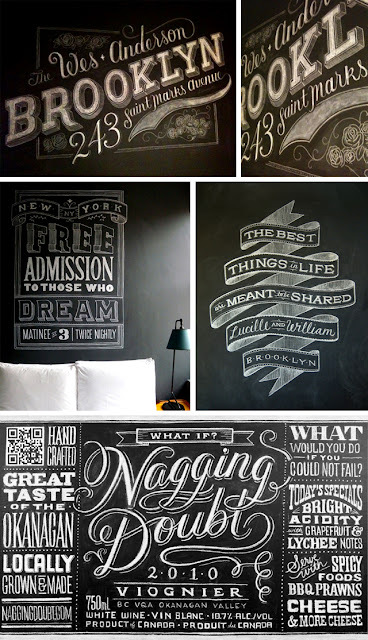 But taking the ordinary chalkboard and elevating its functionality from a basic menu to a trendy design piece was genius… After surfing the net this morning looking for some really cool chalkboard art, I found Dana Tanamachi…pretty cool.